A great vocal recording deserves the best effects, so use the best delay plugin for vocals in 2019! In my videos and articles I always talk about the importance of using the best tools at your disposal when creating sounds. Using the right reverb and delay effects to enhance and bring your sounds to the right space can be a challenge. It’s easy to oversee the delay effect as just a simple repetition device that you throw in at the last stage of an effect chain. Eh, or preferably before the reverb plug-in depending on what kind of sound you are after. Colour Copy. The best delay to spice your sounds with warmth. Here is a video I did about the amazing delay Colour Copy from u-he. It’s definitely one of the best delay plug-ins I have in my arsenal and a perfect suite for sound design and music production. 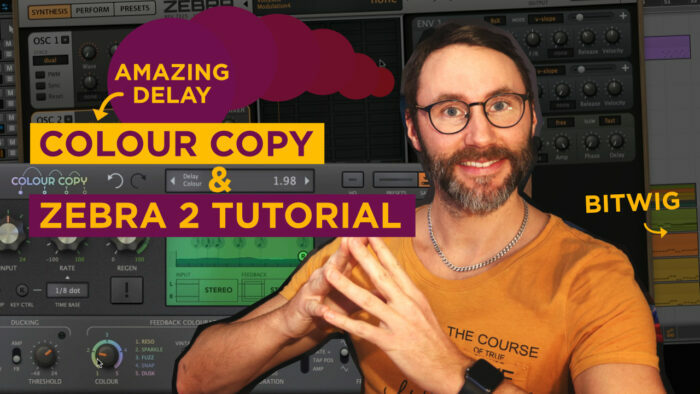 Colour Copy Delay & Zebra 2 Tutorial in Bitwig Studio. Importantly, the delay is so much more than just a device for simple repetition. You use reverb effects to place a sound in a room and adjust how far (or close) you want that sound to be perceived. Then the delay effects can give both big stereo spread and depth to your sound. Originally Colour Copy began as an internal effect of the Repro virtual synth by u-he. The delay turned out so good that they decided to make it a stand-alone product and develop it further with more options and customisation. I think it was a great idea, since we can now use this smooth delay on any sound source that we like. Regular Delay vs the BBD delay type of Colour Copy. When you alter the delay time with automation or in real-time with a regular delay you often get obnoxious unmusical glitches. While Colour Copy changes the internal samplerate instead, you end up with a pleasant sound. Even with big automation movements the pitch effect sound is smooth as silk. That’s one of the reasons why I think Colour Copy is the best delay plugin for vocals. The Best Delay plugin Featuring five Colours with distinct filter characteristics. 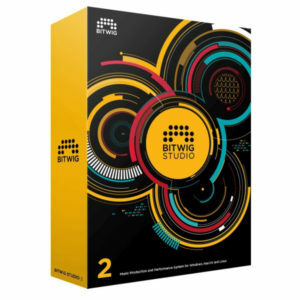 Best Delay Plugin For Vocals 2019 – Colour Copy! Colour Copy comes with five different feedback “colours”, or filter settings if you will. You can seamlessly fade between them with a knob and tune in the specific filter character you want for the delay taps. It’s a smooth feature with subtle variations. The sound clips below give you a quick insight into the various sounds of the Colour Copy delay plug-in. 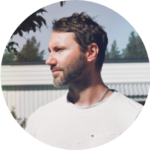 Be sure to download the Colour Copy demo and try it out on your own audio material. RESO gives you a subtle but nice resonant filter peak to notch your delay taps with a bit of edge and mild distortion. A lowpass-filter around 5khz makes sure to tame the sound from harsh results. When trying this on various sound material I found it to be a nice and subtle delay, but (to me) delays is all about subtle repeats of your original audio sample. This one worked well on my vocals. Listen to a vocal demo of Reso colour mode in Colour Copy Delay. Reso Colour mode on acoustic guitar. SPARKLE is said to be the brightest of all the delay types in Colour Copy. It comes with early distortion and shallow low- / high-pass filtering (-6dB filter response at cutoff). Importantly, I found this setting worked well with my acoustic guitar (canadian wood – Seagull). With brand new strings this was a nice surprise to hear the Sparkle colour in action. Listen to a vocal demo of Sparkle colour mode in Colour Copy Delay. Sparkle Colour mode on acoustic guitar. FUZZ was an instant favourite of mine. I’ve always loved delay feedback taps on the grittier side. According to the manual it’s supposed to be similar to u-he Repro’s Lyrebird effect in dark mode, with quite a strong resonance. This colour has several unique characteristics, for instance that filter cutoff depends on the Rate. In the end, Fuzz gives a lovely delay feedback sound on all sources I played through Colour Copy. Listen to a vocal demo of Fuzz colour mode in Colour Copy Delay. Fuzz Colour mode on acoustic guitar. SNAP has a wide, flat frequency response with a steep cutoff at both ends of the spectrum. The compander has a narrow working range and reacts rather quickly. The timing offset between the compression and expansion accentuates any transients in the signal. Listen to a vocal demo of Snap colour mode in Colour Copy Delay. Snap Colour mode on acoustic guitar. And finally, DUSK, with it’s quite narrow, bass-focused response. This colour quickly loses high frequencies and has very soft distortion. The compander timing is set up to soften transients, and because its working range starts so low, the noise floor is pushed up whenever the signal gets stronger. Listen to a vocal demo of Dusk colour mode in Colour Copy Delay. Dusk Colour mode on acoustic guitar. Best delay plugin for lead vocals. For lead vocals in a song, you often want the effects to be subtle and out of the way of the vocals. No problem, with the built-in ducking functionality you can make the effect go down in volume as the lead vocal pushes through. Then when the vocalist stops singing the delay effect will be brought up in volume. Ducking the effect feedback audio is very effective and gives instant clearity to your vocal mix. I think every modern reverb and delay plug-in should come with this feature. If you are creating transition effects for buildups or breakdowns in a song Colour Copy can be a useful tool to create smooth and unique pitch effects. I recently did an article on transition techniques in music production which you can read here. Colour Copy video tutorial with basic usage of the best delay plugin features for vocals. Now take a look at the video tutorial I made where I use Colour Copy on a few sounds in a mix. In the video I show how we can use Colour Copy for a flora of effect variations. 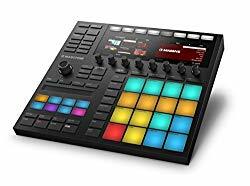 Furthermore, in the video I show a recent EDM track I created featuring the Zebra 2 synth (also from u-he). Zebra is one of my all-time favourite synthesisers. It’s frankly the best synth I’ve found for learning the basics about synthesis on a computer. And Zebra 2 is light on the CPU too, which is great if you are composing on a laptop! The best delay plugin for vocals – conclusion. With multiple “Colour” types Colour Copy is a secret weapon when it comes to analogue delay in any type of audio production situation. It’s a tight interface without overwhelming settings. It’s easy to get this delay effect to sit in your mix. The saturation is musical without going overboard. Moving knobs with automation or in real-time gives pleasant pitch effects like a real BBD delay. This is truly one of the best sounding BBD type of delays I’ve found so it’s highly recommended for audio engineers and music producers. That’s why I consider Color Copy to be the best delay for vocals.